In the summer of 1816, a young Mary Shelley began writing what would become Frankenstein. Since it was published in 1818, that revolutionary novel has become the inspiration for countless other works including over a dozen films. The most recent of those movies is I, Frankenstein, based on the graphic novel of the same name. 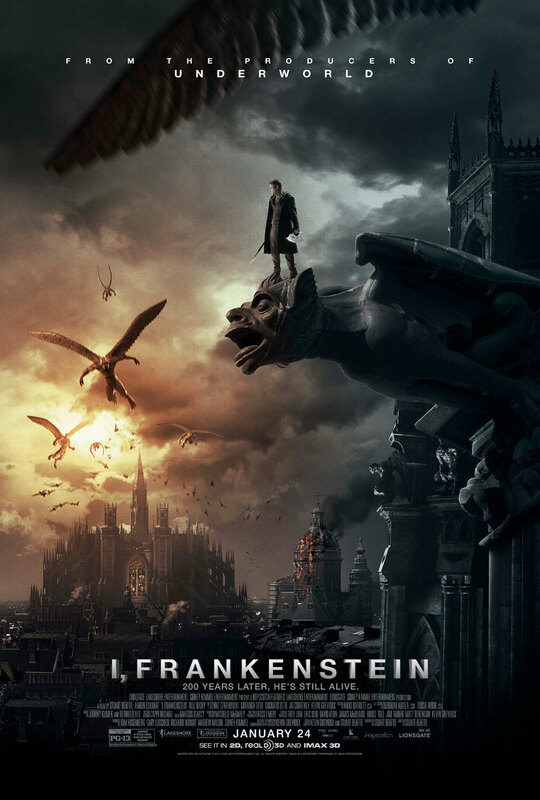 While I, Frankenstein may not be the best of the movies inspired by Shelley, it is by no means the worst and makes for a fun afternoon at the cinema. 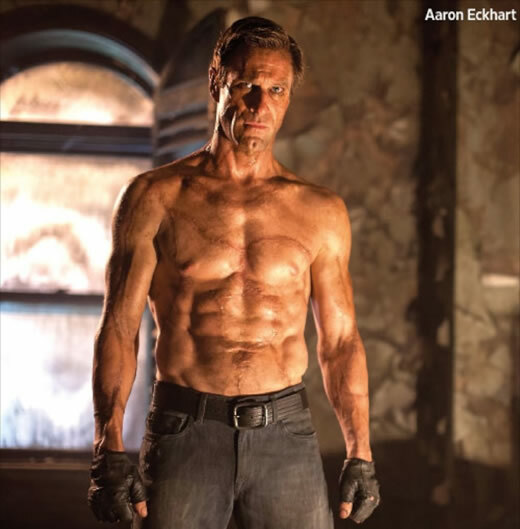 I, Frankenstein picks up shortly after Mary Shelley leaves off, with the monster (Aaron Eckhart) returning to bury Victor Frankenstein in the Frankenstein family grave yard. As he is shoveling the dirt over Victor, the monster is attacked by unknown aggressors. These aggressors make mention of someone named Naberius, who–ominously–wants the monster alive. The monster fights back and is rescued by a pair of gargoyles, who apparently exist on earth to fight demons of the type that had just attempted to carry him off. Now the monster is unwillingly pulled into a war between the demons who attacked him and the gargoyles. Several quick scenes later the gargoyle queen Leonore (Miranda Otto) has named the monster Adam and he has gone back into hiding. The movie skips ahead two hundred years, the demons have come looking for him, and Adam has decided to come back to the civilized world and rid himself of this threat. Through several twists and turns the audience has come to find out the demon prince Naberius (Bill Nighy) wants to create an army of soulless, reanimated human bodies like Adam so he can bring back all the demons that the gargoyles have banished over the centuries. Over all the movie isn’t bad. The casting choices are the brightest parts of this movie. Aaron Eckhart plays the reluctant protagonist very well. While his portrayal of Adam is reminiscent of the tormented Two Face in The Dark Knight, there are significant differences in the two characters. I was especially pleased with Eckhart’s physicality through the whole movie. There were plenty of fight scenes and Eckhart held his own. While he might not be the size of the traditional Frankenstein’s monster, the size difference never bothered me. It was also nice to see Miranda Otto back on screen. Most movie goers would recognize Otto as Eowyn from The Lord of the Rings. She did a pretty good job as the gargoyle queen. This time around she had a much more regal bearing than she did as Eowyn, which is fitting given her character’s status. Bill Nighy was an adequate villain; unfortunately, he always plays the same character and after a few movies it gets redundant. The movie runs ninety-two minutes but it certainly didn’t feel like it. The action starts within the first couple minutes of the movie and doesn’t let up for more than a minute or two until just before the credits roll. The plot was predictable at times, but not disappointingly so. At one point the gargoyles turn on Adam and begin to hunt him in hopes of destroying him so that Naberius can’t get Adam. This was a pretty obvious plot device and I saw it coming way in advance. I am still a bit confused by the whole demon and gargoyle war. There may have been more backstory and explanation in the graphic novel on which this movie was based, but if so, it didn’t make it past the cutting room floor. While I applaud the film makers for not going with the stereotypical angels vs. demons, the gargoyles really were just a stand in for angels, only slightly less powerful. Throughout the movie I was consistently impressed with the incorporation of original Frankenstein story elements. Sure some things had to be changed to make the plot work, but it was never the major details and the creators were otherwise surprisingly faithful. The dialogue was perhaps the component of this movie that moved the slowest and dragged the other pieces down. Sure, the word “shall” sounds wonderful in Elizabethan era plays, but “will” is a perfectly good stand in, and probably should have been used more liberally in this movie. I also took issue with Queen Leonore’s declaration at the beginning of the film, “God is no longer the only one who can make man.” Statements like this came across as stilted and a little campy. Visually the movie was clearly spawned from the Underworld creators. It could have easily been set in the same universe. The sets were huge and impressive. Overall the feeling was one of decaying grandeur. Most of the movie takes place at night, so everything is dark. The cathedral of the gargoyles is absolutely gorgeous and seems to be based on the gothic cathedrals of France—most likely Notre Dame. In the alleys of the Parisian style city, water seems to always be dripping and puddles seem to be a structural inevitability. The lab in which the female lead, Dr. Terra Wade, is attempting to create life seems normal until it becomes obvious that the ceiling is perhaps forty feet above her head. The evil Dr. Molokai’s lair, filled with 10,000 human corpses waiting to be inhabited by demon spirits, is much larger, and also resonates with dripping. I was slightly annoyed that the city in which the story takes place was never actually named. 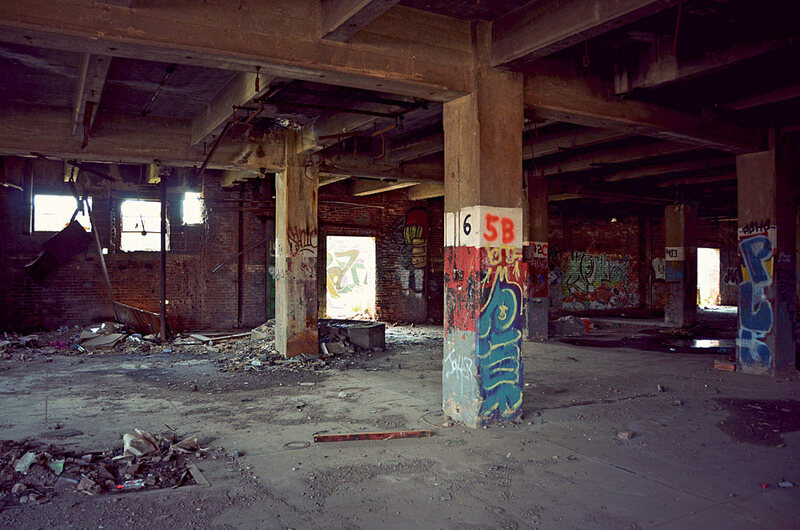 Based on the number of abandoned buildings, I’m forced to assume it all takes place in Newark, New Jersey. This could easily have been a filming location. The cinematography of this movie was nothing special. There were some great camera shots and effects, but at times the whole movie had cheap feeling. I have a hard time putting my finger on it, but it reminds me a lot of old episodes of Star Trek: The Next Generation that were shot on video tapes. That soft focus that was the best they could do with the technology they had available. Unfortunately that is not the same technology that we have today, and there is no good reason for this look. I, Frankenstein makes for a good popcorn flick. Unless you have the undying urge to go see this in the theatre, you can wait to see it on DVD. I enjoyed myself and I give it three Death Stars. Tracy gives it four Death Stars, so the average of the two of us is Therefore I Geek’s rating of three and a half Death Stars. I’m also going to make a point of finding the graphic novel and getting better acquainted with it.